I blinked and it’s almost over. My four years at the University of Guelph and the Ontario Agriculture College (OAC) really have flown by. I credit this to how much fun I’ve been having as an aggie (agriculture student) on campus. The OAC agriculture program is the 23rd best agriculture program in the world and the 2nd best agriculture program in Canada (we beg to differ). In my eyes it isn’t the programs that are offered or courses that are taught that make the OAC special. It’s the unique experience that is being an OAC Aggie. Moving away from home for the first time was terrifying. That was, until classes started and I found out I had just began four years with a huge group of like-minded people. Before long it felt like we were part of one big family. The type of family that shares study notes and passes around scholarship opportunities and job postings. It wasn’t just aggies from my class either. The second, third and fourth year aggies did their best to make us feel welcome. They became like big brothers and sisters to us. These “upper years” gave better advice than any guidance councilor ever could because it was all based on their own personal experiences. I was completely unaware of all of the traditions that are withheld in the OAC until I stepped foot on campus. A walk down Winegard Walk, the central walkway on campus, is likely all it will take to spot our most obvious tradition. Matching aggie jackets. Not just any jackets. 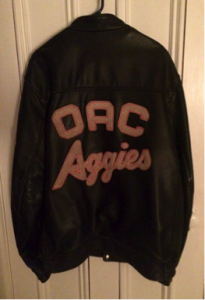 Leather jackets with “OAC Aggies” written on the back in large writing. Aggie jackets are one of many long-standing traditions that make the OAC so special. 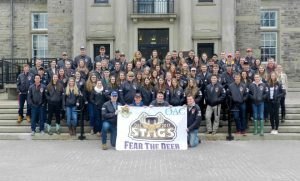 Many OAC alumni still don their Aggie jackets to agriculture conferences and workshops. If you spot an Aggie jacket you can be sure a friend is near. Okay, maybe privilege isn’t the best word. But OAC students do have a lot of unique opportunities on campus. In October of every year there is an OAC career week dedicated to helping OAC students find jobs. OAC Career week features alumni networking events, guest speakers and a job fair geared specifically to agriculture students. 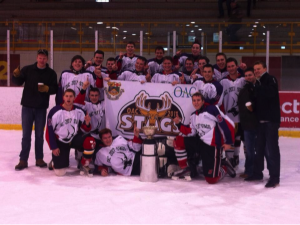 There are also Aggie-only sports tournaments of every kind: hockey, soccer, baseball, curling, you name the sport and there is likely an OAC tournament. The holy grail of our on-campus aggie existence is our coveted “Aggie Lounge”. It is the small corner of Johnston Hall that we call our own. It comes filled with couches, friendly faces and the latest edition of the Ontario Farmer. The OAC is blessed with the best alumni, many of whom are still active in the agriculture industry. It is not uncommon to walk into a job interview and find yourself being interviewed by one or multiple OAC alumni. Over 30,000 OAC alumni have helped, or are currently helping shape the Ontario food, agriculture and environmental sectors. Their extreme generosity is also helping shape the lives of future agricultural leaders. I have no doubt that my Aggie memories will last a lifetime. I also have no doubt that there will be more to come after graduation. The OAC class of 1953 is a perfect example of that. 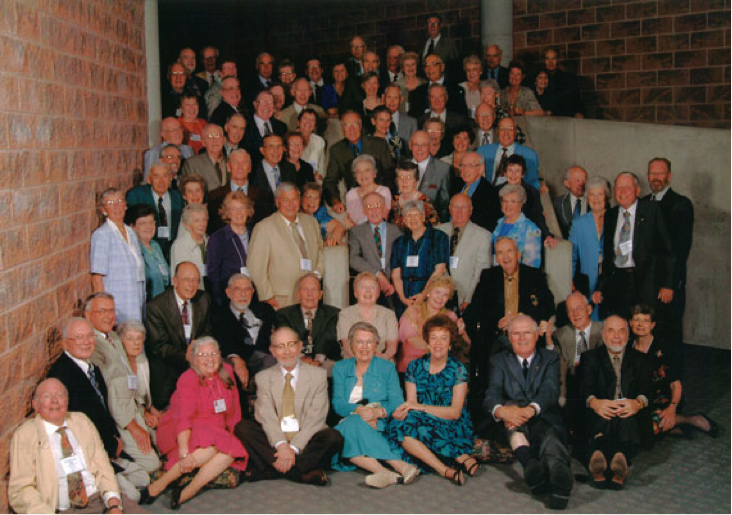 In 2013, they celebrated their 60th class anniversary and reunion. They have gathered together every year since they graduated in 1953. Saying goodbye to the OAC will be hard but I know I’ve made enough memories here to last a lifetime. Thank you to all of the people who made my time at the OAC so special. And to anyone out there who isn’t sure where to attend post secondary, choose the OAC. You won’t regret it.